The word init means initialize. The command sets up all the tools Git needs to begin tracking changes made to the project. git clone creates a local copy of a project that already exists remotely. The clone includes all the project’s files, history, and branches. git branch shows the branches being worked on locally. You can check the status of the modified file in working directory with “git status”. A commit is the last step in our Git workflow. A commit permanently stores changes from the staging area inside the repository. How can you easily unmodify it — revert it back to what it looked like when you last committed (or initially cloned, or however you got it into your working directory)? It will discard changes in working directory for the file and undo the changes made after the last commit/clone. You should also realize that this is a dangerous command: any changes you made to that file are gone — you just copied another file over it. Don’t ever use this command unless you absolutely know that you don’t want the file. Saas(Software as a service) is the key concept behind Cloud. It says someone(Vendors) has every resources you want over cloud and you just need to pay as per required and avail the services. YOU ASK your vendor the required resources(System, CPU, RAM, Memory, Bandwidth, Geographical Location of servers) YOU GET it. YOU ASK your vendor your service to be hourly, weekly, Monthly or any specific time duration YOU GET it. Cloud computing has created a trend for outsourcing of computing, storage and networking in order to create a more dynamic and efficient infrastructure. It has almost all the characteristics to solve the challenges faced for Performance Testing. In Performance testing, more the script/execution to be realistic more accurate the result will be. So Cloud has become one of the integral part of Performance Testing. Apache Jmeter has six successful releases with a time gap of two years only. With every release we can see a lot of new features, enhancements, Non-Functional Changes and Bug fixes. This shows a continuous involvement of community to enhance the product to its best. In Previous versions of Jmeter you need to add a listener named Generate Summary Result to the jmx file. So that you can view the Summary in NON GUI mode after 3 minutes(180 sec) by default. With 2.11 you can view the summary in non gui mode by default. You can also tweak the summary result by editing the following properties files. By default summariser name would be “Summary”. You can edit and give a name of your own convenience. No Name means disabled summariser. If it is true then all the summariser information is going to be append to the Jmeter.log file. Changing it to false do not add any information of summariser. Decides whether to show the summariser information to standard output. You can view the command prompt as below. So the main idea of Test Fragmentation is to split the complex test Script by functional components for better maintenance and code re-usability. 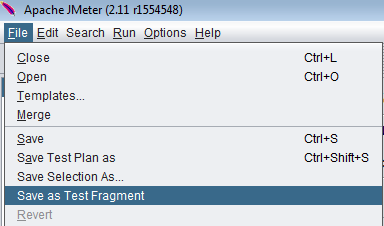 So with Jmeter2.11 you can select a group of element and save them as a test Fragment. Later just grab them and merge to which ever script you want using Include and Module Controller. I found it very time saving as it saves time and able to reuse the script/code efficiently. I personally felt the RegExp Tester is a great help to test any regular expression before applying it to the script. 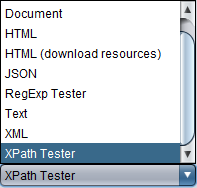 Jmeter 2.11 has given one addition to it by featuring Xpath Tester. You can take any Xpath Expression and put it in the View Result Tree and test it if it is appropriate. ZIP file should not be Greater than 1 MB. Delimeter for CSV file must be COMMA(,). TimeStamp must be Unix timestamp for the First Coloumn. Click on Refresh icon if you do not get the rest result and it is showing Pending. By default all files are stored in Amazon S3 secured storage server. Analysis of performance Metrics plays key role in Performance Testing. For a better analysis we need a Better report. JAnalyser accomplish this task very efficiently. It is equipped with rich features for analysis and powerful enough to provide on demand services for corporate Users. JAnalyser makes the Jmeter complete by removing the gap between Jmeter Results and Management Reports. You can analyse the Performance results in both CSV and XML. You can upload a log file from your system like performance log of your load generator machine and upload it to analyse result. Merging of Jmeter Results: I personally found this feature very useful. You can add 2 graphs and show it to your client. An easier way to show comparison of graphs and prepare analysis report. Filter Result: You can filter Result with respect to the Thread Group and Time Duration. You can generate Analysis Report in PDF and HTML format. Add Summary Report to the Thread Group/Request you are sending. There you can get the above report . Where using [1/(KB/Sec)] we are getting the Time consumed in Sec. For 1 KB of data . Response time is the value counted just before the request is being sent till the whole the last byte of response is produced . 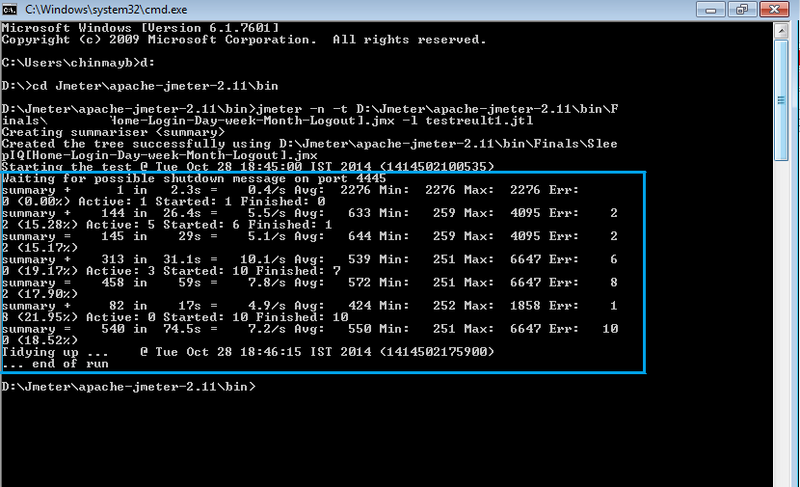 Here Throughput is the measure for the Sever performance . Case 1 : When we find a scenario where the Response time for the request is high but the Throughput is much lower. This signifies that the Server is not capable enough to sustain/execute the request . Which ask for the tuning in the server side. Case 2 : When the Response time is high but Throughput in comparison to the Response time is much higher . This implies that the request is taking more time because of fault in the application. We should not blame the server processing time for this. Now it’s time to consider other factors and tune them to make the application performance better. In this competitive world every one wants a great user/client satisfaction. An Excellent feedback from User. Apart from Design, Functionality and Security, Responsiveness of the application plays a tremendous role is user/Client satisfaction. There is a significant correlations between page-load time and the likelihood of a user to convert. So Loss in user Conversions. 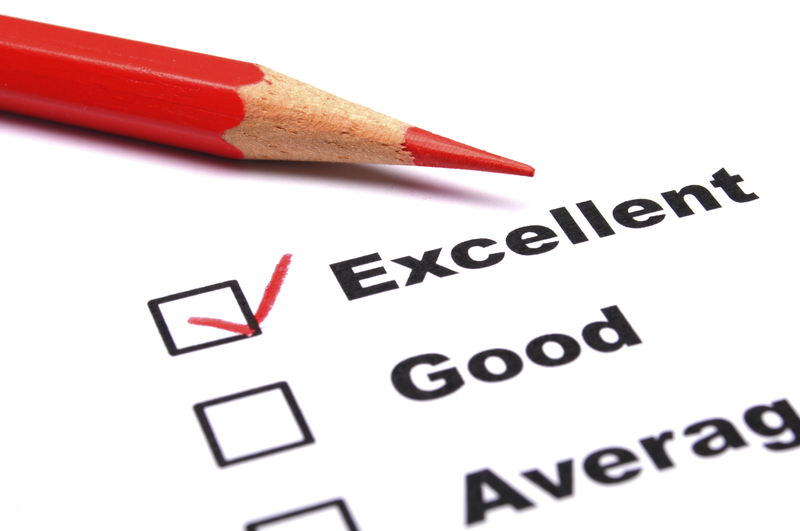 Lower response time negatively impact user satisfaction. 52% of online shoppers claim that quick page loads are important for their loyalty to a site. even walk away from their computer. 64% of shoppers who are dissatisfied with their site visit will go somewhere else to shop next time. You have a reflection(Might not be 100% ) of your Production Environment as Test Environment. It enables you to execute the test with different scenarios and load levels and predict/estimate the performance characteristic. Degree of stability and scalability of the application when it undergoes a massive increase in user base or volume of data. Performance Testing gives you a platform to decide label of performance tuning required for the application before it goes for a release. In future there is a chance of increase in user base or volume of data which might create scalability and stability issues. It will lead to loss in Revenue and hamper brand credibility due to user dissatisfaction. Performance Testing helps in predicting the cost involved in design/Infrastructure rebuilt, Performance tuning, etc. Evaluate and predict the current infrastructure and it’s capability. Determining the degree of scalability it can handle and the cost associated with that. There is possible chances of getting different configuration of system to accomplish the same task. So Performance evaluation of each system would provide a comparison and to choose the best. Creating Baseline for the application performance with different scenario. Monitoring the deviation of the performance characteristics after adding a new functionality with the baseline. Plotting the comparative data between application’s current and desired performance characteristics. Provide the matrices on the Speed, throughput, Scalability, resource utilization, Stability of the product or application before the release and Identify the bottleneck. Provide an opportunity to decide on fixing the bottleneck.